Infrared (thermal imaging) is an advanced, non-invasive technology that allows the inspector to show homeowners things about their homes that can’t be revealed using conventional inspection methods. It is an invaluable tool in giving a more in-depth inspection and report. 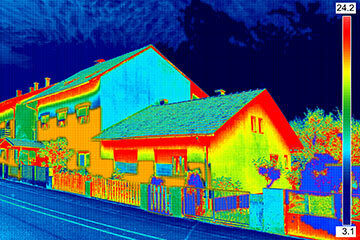 Which is why thermal imaging is always included in home inspections performed by Morrison Inspection Company. The art of an infrared inspection is for the inspector to interpret the results as accurately and reasonably as possible such that you are given actionable information in order to proceed with necessary repairs. It’s important your inspector include not only the basics of the inspection in the report, but also interpretation of the results, which can help you determine what to do next in order to address any problems. An infrared camera, or thermal imaging camera, is a form of “non-contact temperature measurement”. Normal cameras, which are a form of visual imaging, use the visible wavelengths of light to create an image of what we see when we look at an object. Infrared or thermographic cameras, on the other hand, use longer wavelengths of light to record an image that shows what temperature an object is. The infrared camera is not a thermometer, and does not directly measure temperature, but the infrared energy that it does detect provides information about the temperatures of the item. The range of colors in an infrared image show a range of temperatures: this shows the “thermal pattern” of an object or area and provides helpful data about the temperatures ranges present in that area. Typically, blue colors represent colder areas, and red, yellow and white colors representing progressively hotter areas. Infrared detects the temperature based upon wavelength of the light emitted by the object (longer wavelength, colder). Infrared, therefore, does not show the temperature of objects that reflect light, (glass, shiny metal, light colored objects in direct sunlight). Infrared does not “see through walls,” but only displays the very slight differences in surface temperature of the wall. Images of areas “behind” and not in contact with walls depends upon the temperature difference of the area. It is easier to see “hot” objects because they will be radiating heat to the not-in-contact surface. Careful adjustment of the range of temperatures displayed is important to proper imaging and interpretation. While there is no guarantee that nothing will be missed during the visual inspection, thermal imaging brings the inspector one step closer to not overlooking anything. This is perhaps the most critical aspect of providing a solid infrared report and goes hand in hand with the limitations of thermal imaging, as well as the depth of the inspector’s training and experience. 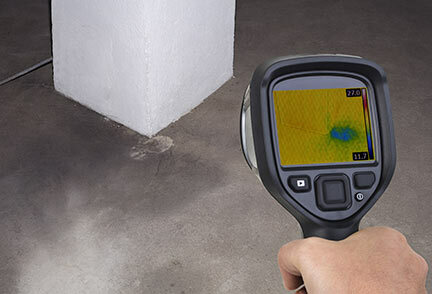 Depending on the established baseline infrared readings and the locations of the images, the results can either alert you to a critical repair needed – such as an electrical hot spot – or simply be an item that you need to keep in check – such as adding insulation at an exterior wall. Our clients can rely on our expertise to help them prioritize repairs because we treat the results as if they were for our own home. Our clients’ safety is always our first consideration. At Morrison Inspection Company, we have the proper experience, expertise and equipment to perform infrared camera testing properly. 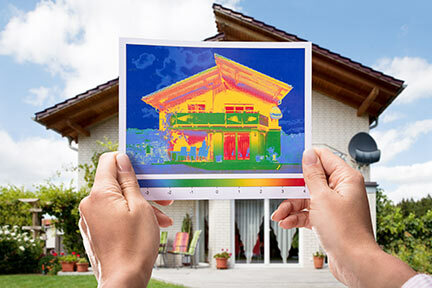 We understand the benefits and limitations of using infrared cameras and thermal imaging to detect problems in the home. Our clients can rely on our information to prioritize repairs and ensure the safety of their home.